Assisting the Sheriff and residents of Marion County since 1965. 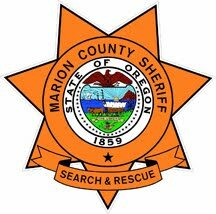 Marion County Jeep Patrol, Inc. is a non-profit volunteer corporation, chartered in 1965, whose main purpose is to provide vehicular support for emergencies in Marion County and the State of Oregon, with emphasis on Search and Rescue. Jeep Patrol is often called out on a moment’s notice for lost person searches, evidence searches, and disaster assistance when its special team skills are required. Jeep Patrol is the motorized road unit of Marion County Search and Rescue. The Members of this team supply their own vehicles specially equipped for searching in on- and off-road environments. This team’s Members also are trained in specialty skills such as man tracking, locating downed aircraft, and the use of metal detectors. This team is usually one of the very first to be activated on a search and rescue mission. The team has the capability of covering a large amount of area in, around, or near the last known position of lost persons, and is able to work day or night. Jeep Patrol is a non-profit, all volunteer organization that is funded entirely through individual donations, grants and other fundraising methods. None of our members are compensated for their work and we do not receive funding from the government. Pass a police background investigation. Satisfactorily complete our Oregon State Sheriff's Association certified Search and Rescue Academy. Possess a current, valid Oregon driver's license (except for some Team 18 youth). Become First Aid and CPR certified. To provide search and rescue services, with an emphasis on 4-wheel-drive vehicles.